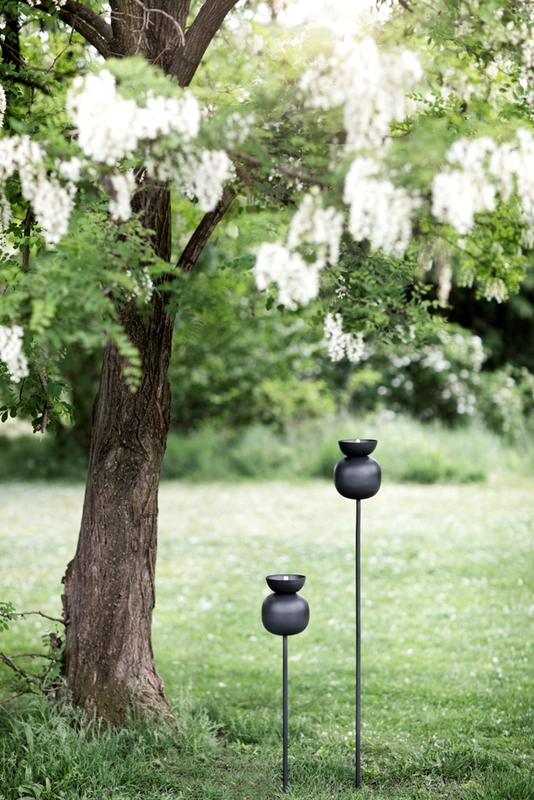 A field of tall poppies inspired this series of outdoor oil lamps, each crafted in a streamlined shape that captures the flowers’ elegant stems and the crowns encircling their pods. 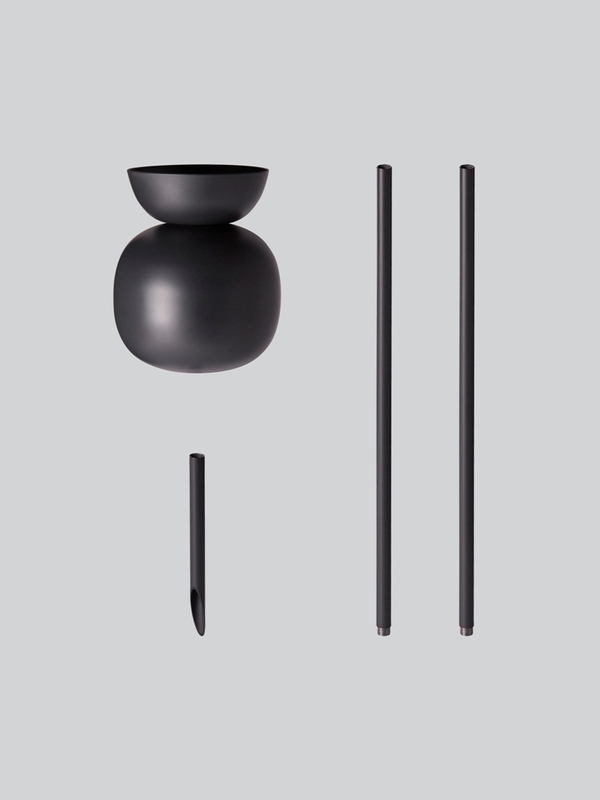 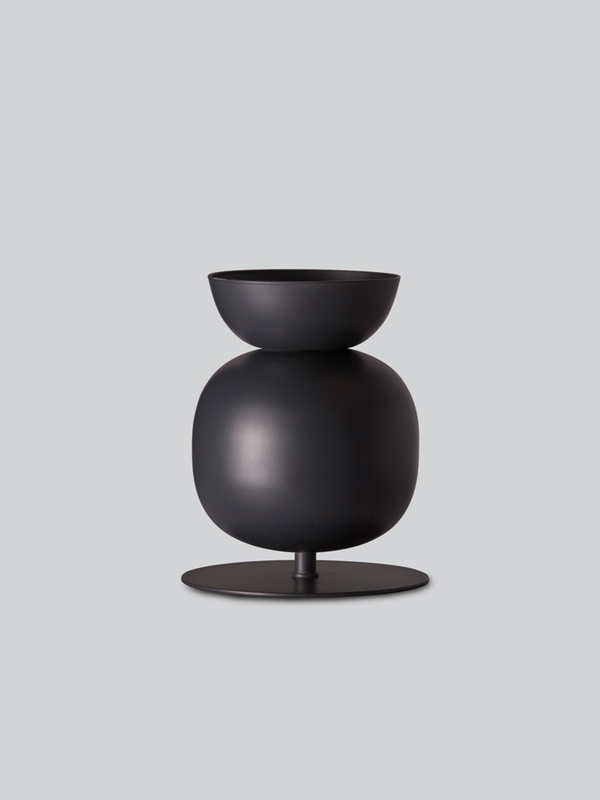 Poppy is made in two versions: a sleek oil container with a conical crown and a globe-like model topped with a rounded collar. 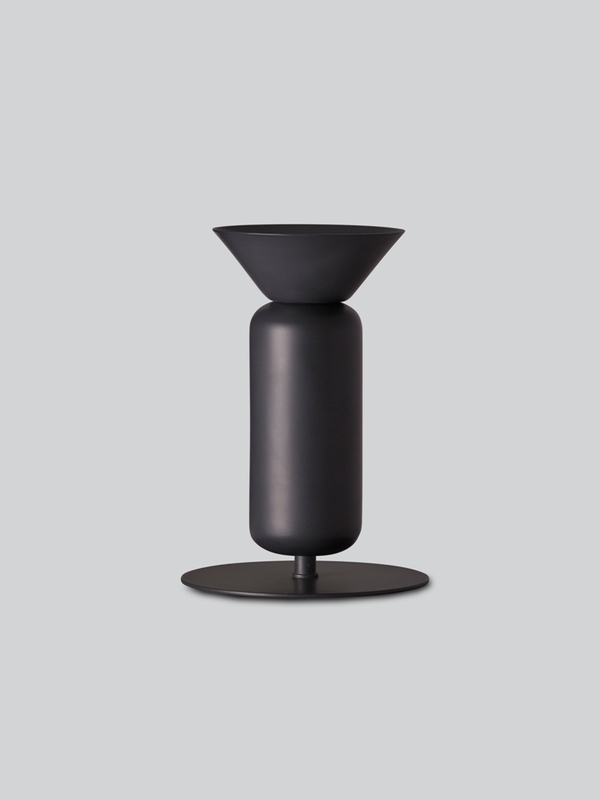 Designed with safety in mind, the oil container is topped with a removable, childproof lid. 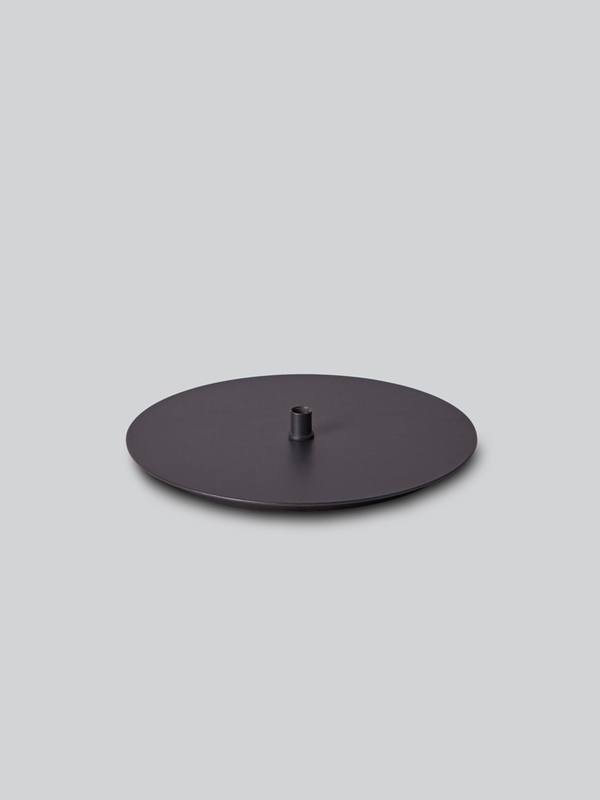 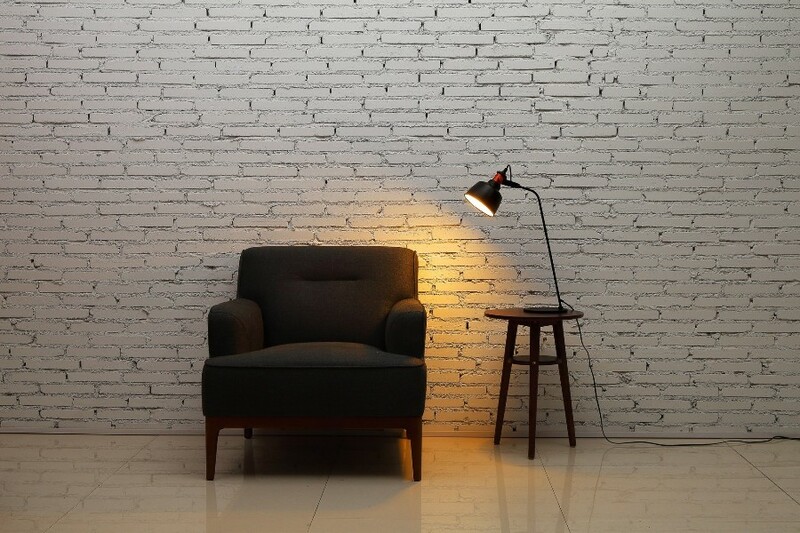 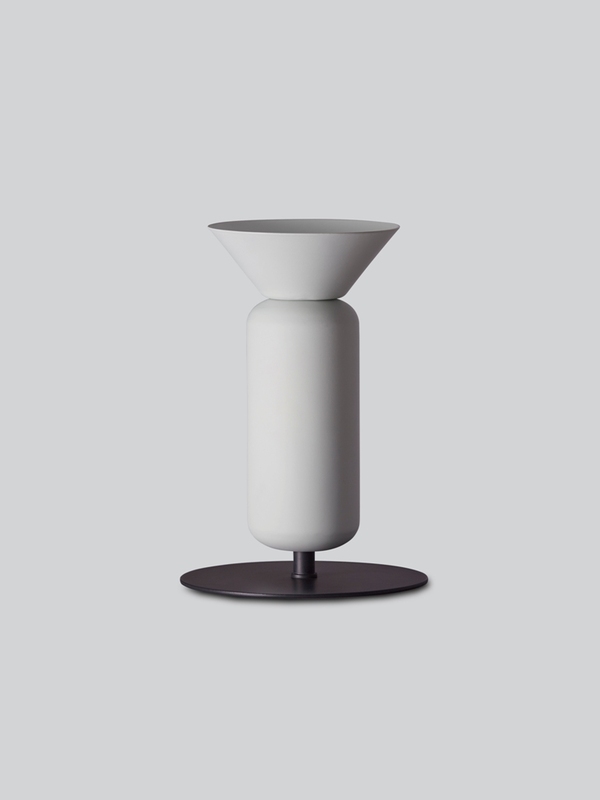 Poppy is available as a table lamp, a floor lamp or a lawn light that attaches to the ground with a pin. 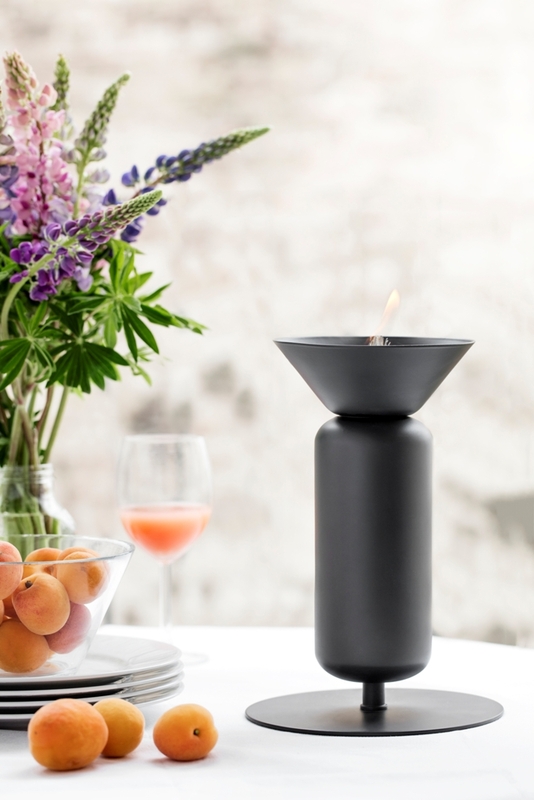 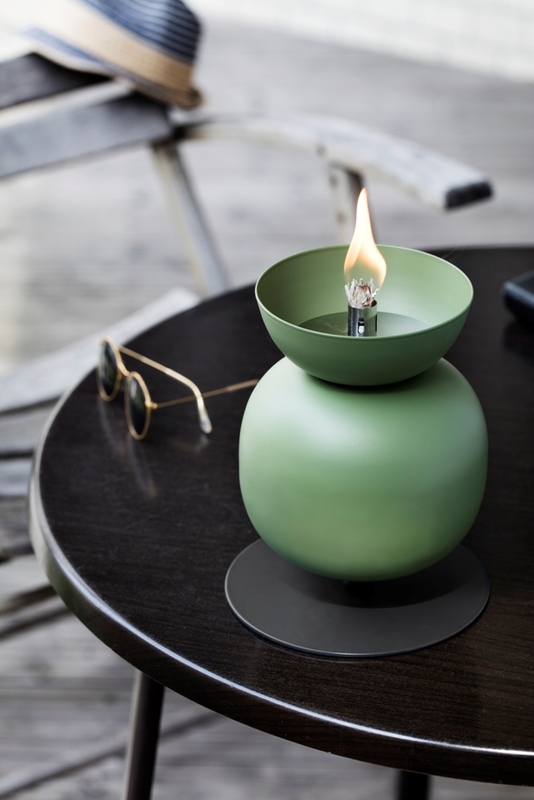 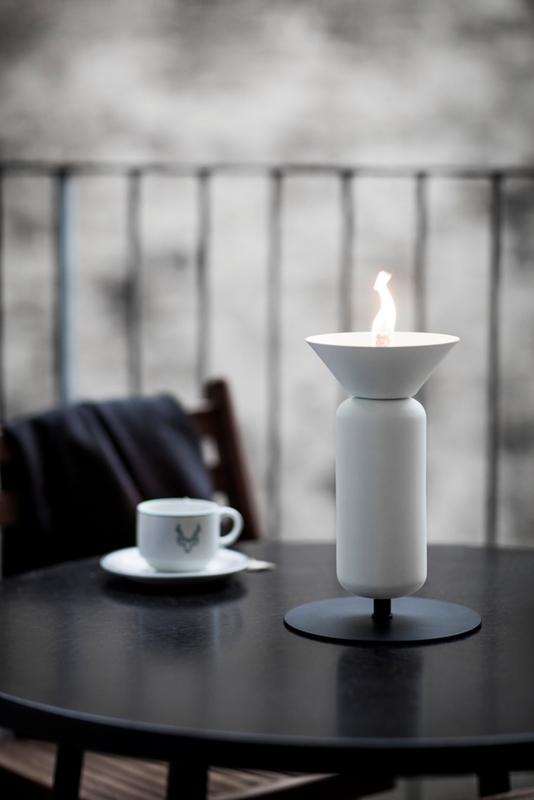 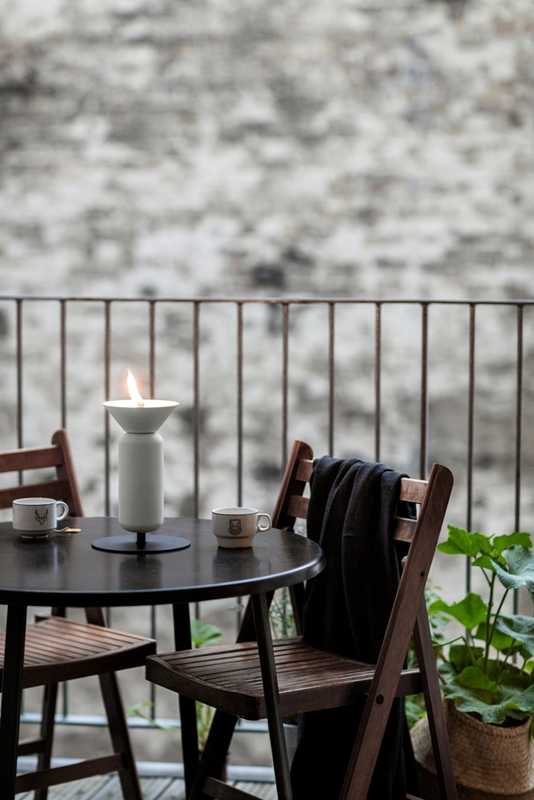 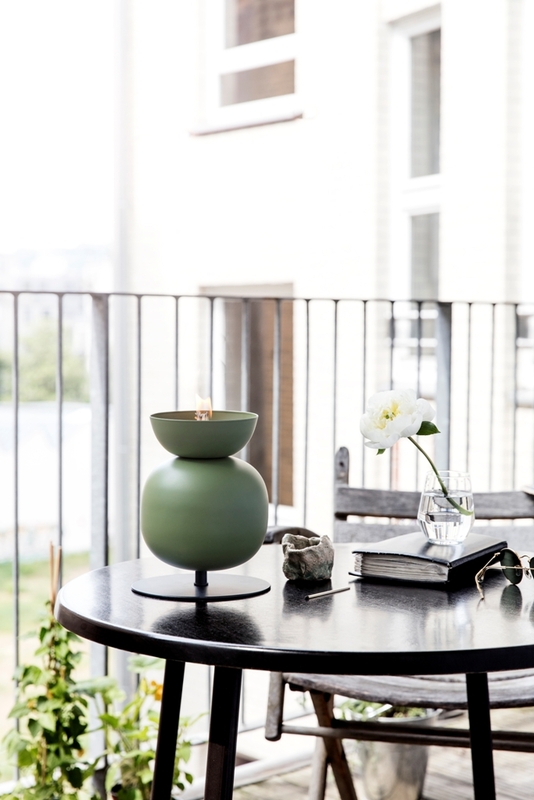 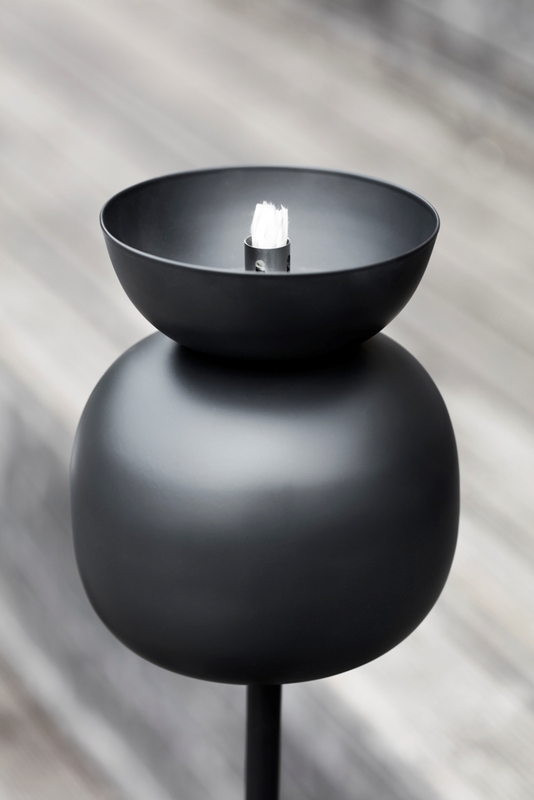 For those who appreciate living light, these outdoor oil lamps provide stylish alternatives to wax candles. 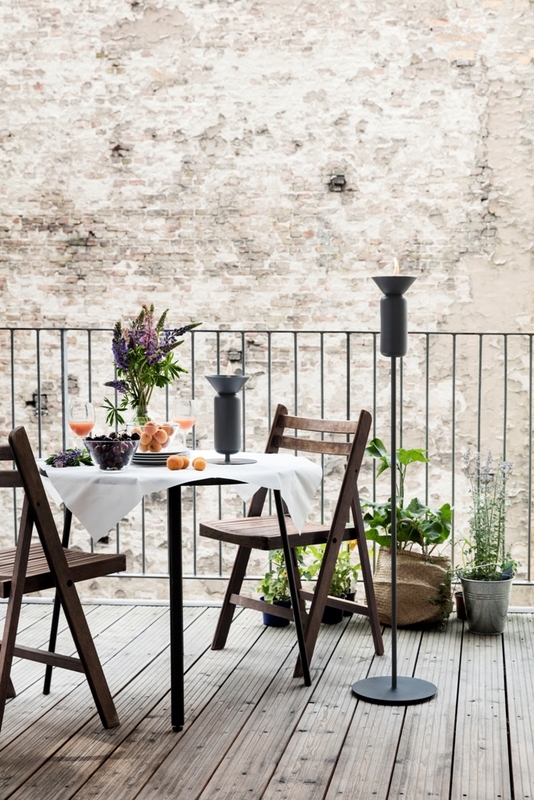 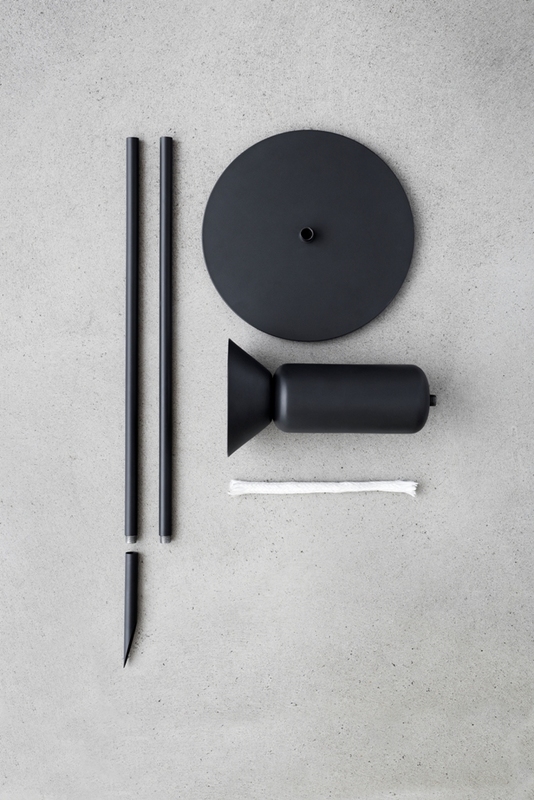 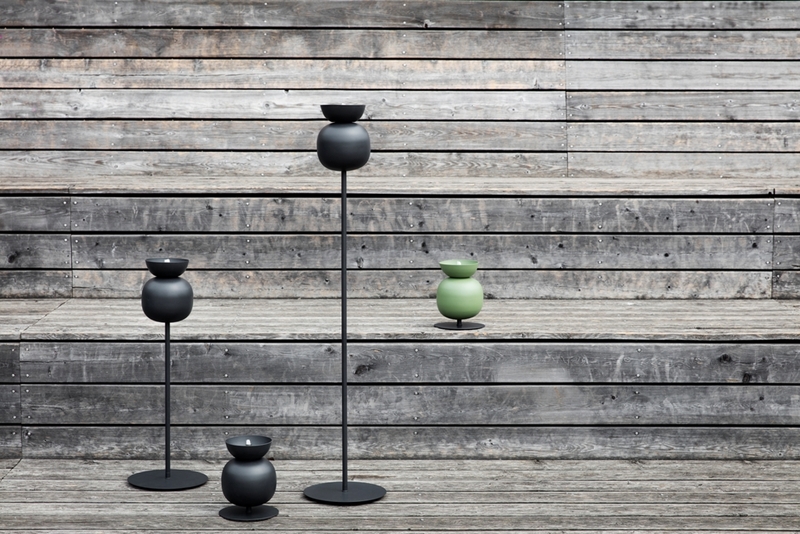 Made in powder-coated steel, Poppy joins the Unplugged collection as a new series of outdoor oil lamps.